“Griphold is one of the leading brands in industrial tools and equipment globally recognized for quality, efficiency and reliability and based on our extensive research, we have developed Air Ratchets that are used in different industries. Square Drive: 1/4", 3/8" and 1/ 2"
We offer KOBE Japan makes of Pneumatic Tools. 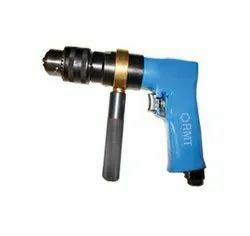 Our Range of Pneumatic Tools include Pneumatic Drills, Pneumatic Pistol Drills, Pneumatic Grinders, Pneumatic Angle Grinders, Pneumatic Mini Grinders, Pneumatic Die Grinders, Pneumatic Sanders, Pneumatic Chisels, Pneumatic Saws, Pneumatic Polishers, Pneumatic Wrenches, Pneumatic Screwdrivers, Pneumatic Ratchets. We supply a broad variety of Sumake Tools, which are reckoned among our customers for their corrosion confrontation, best performance and dimensional correctness. The range of Sumake tools offered by us is powered by dense air motor, a gasoline engine or an electric motor. 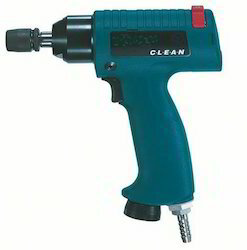 These air tools & power tools are used for a variety of purposes. Even better from a single source: Kaeser compressed air tools and portable compressor accessories are perfectly tailored to work together and are manufactured to the same stringent quality standards in terms of performance, durability and ergonomics. Drive Size (inch): 1 /2" to 1"
Pneumatic tools or Air Tools are tools driven by gas, usually compressed air supplied by a compressor. Pneumatic tools are commonly cheaper and safer to run and maintain than their electric power tool counterparts, as well as having a higher power to weight ratio, allowing a smaller, lighter tool to accomplish the same task. Bore x Tube Length: 2" x 8-1/2"